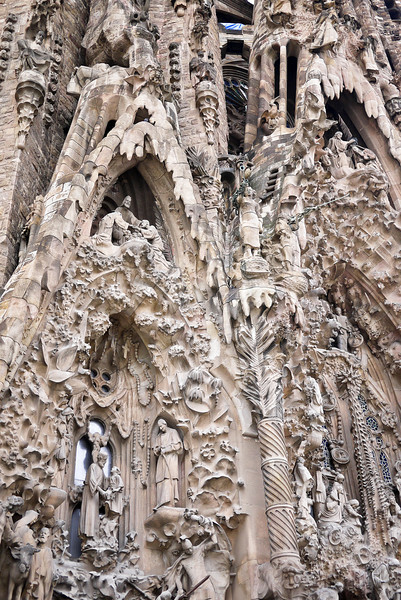 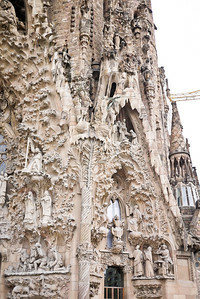 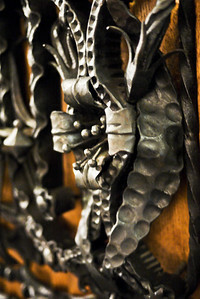 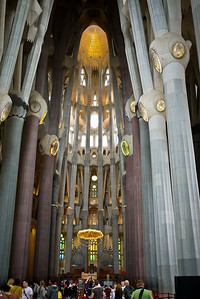 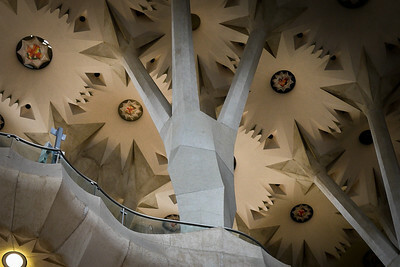 The intricate tree-like support columns in La Sagrada Familia in Barcelona, Spain. 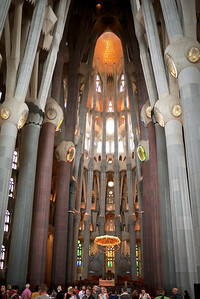 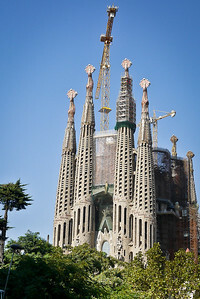 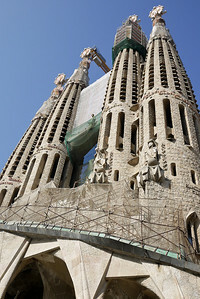 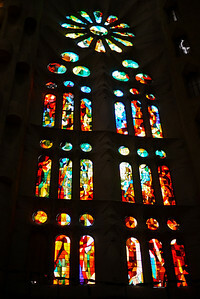 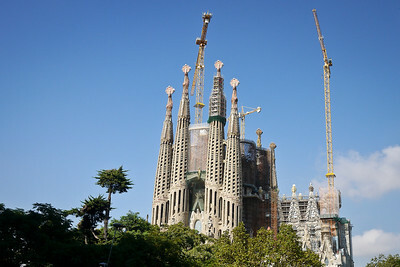 La Sagrada Familia in Barcelona, Spain in the bright afternoon sunlight. 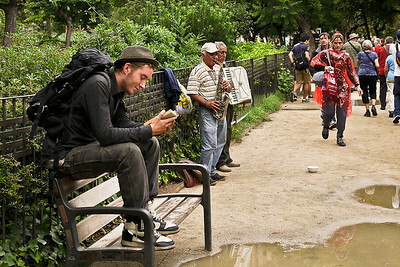 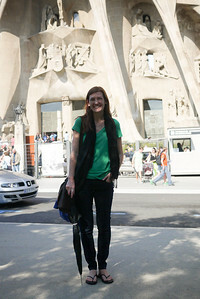 Me at La Sagrada Familia in Barcelona, Spain ... not that you'd know it. 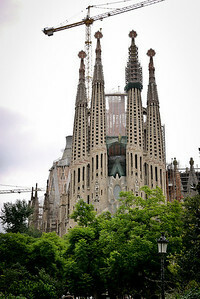 Approaching La Sagrada Familia in from the streets of Barcelona, Spain. 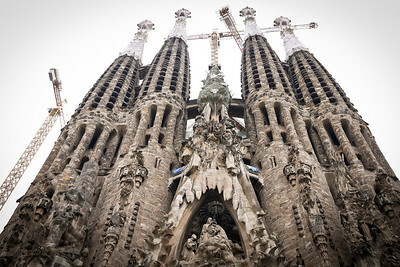 La Sagrada Familia in Barcelona, Spain during a dark and grey afternoon thunderstorm. 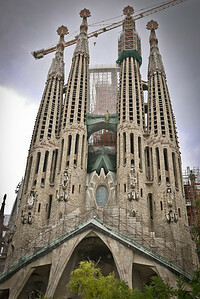 La Sagrada Familia in Barcelona, Spain during a rainy afternoon. 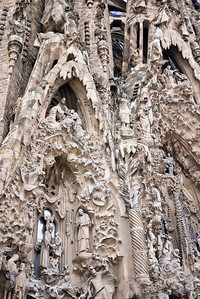 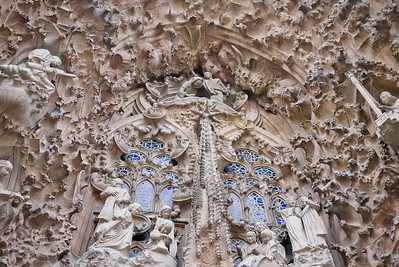 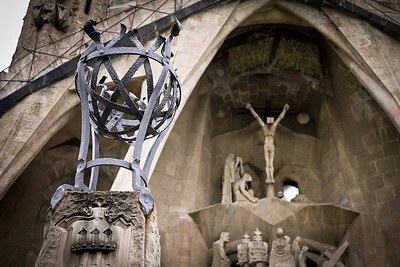 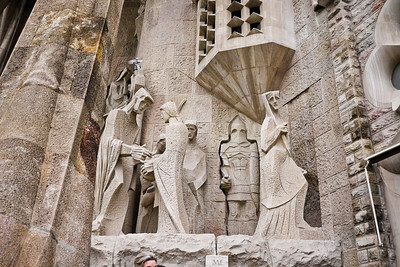 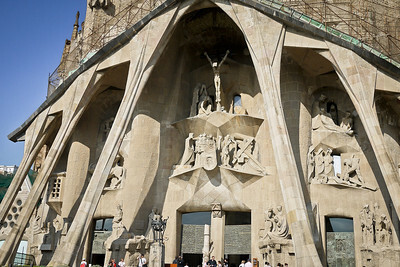 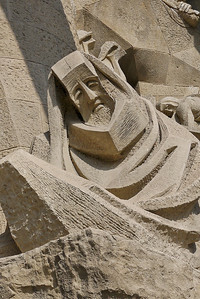 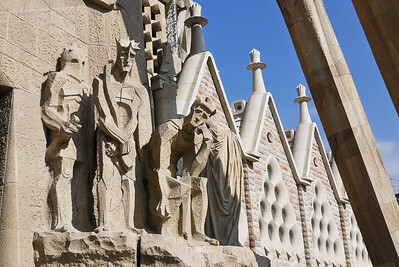 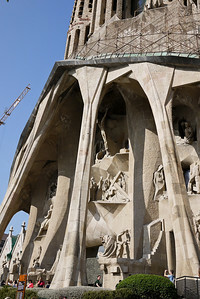 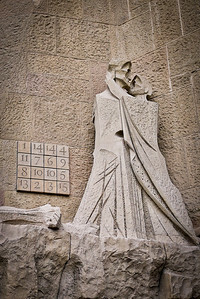 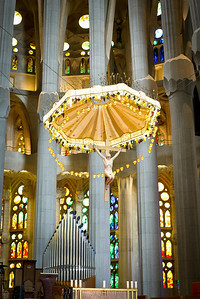 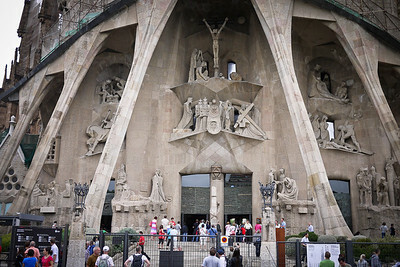 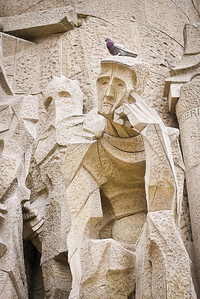 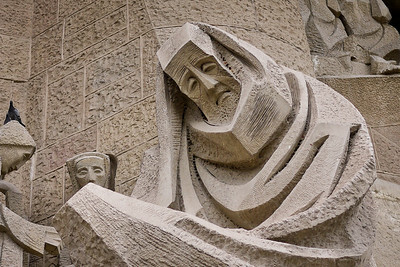 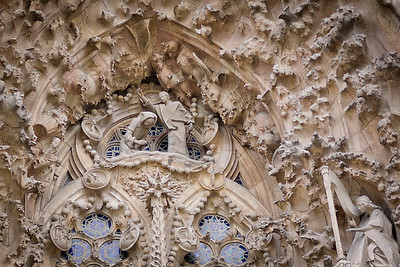 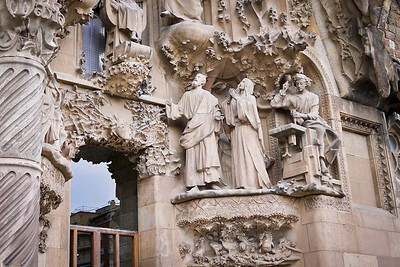 Christ on the cross on the Passion façade of La Sagrada Familia in Barcelona, Spain. 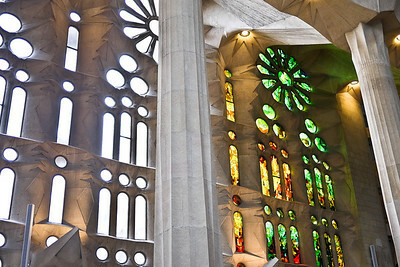 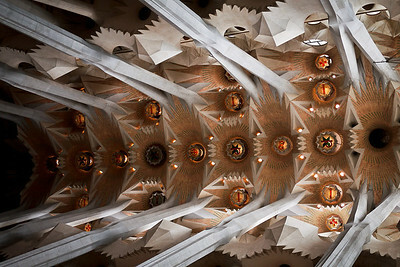 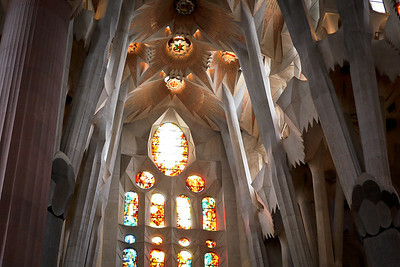 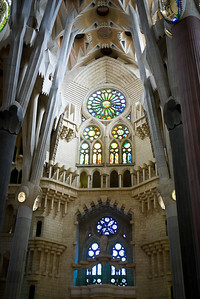 Ceiling of La Sagrada Familia. 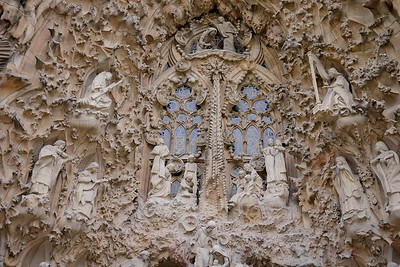 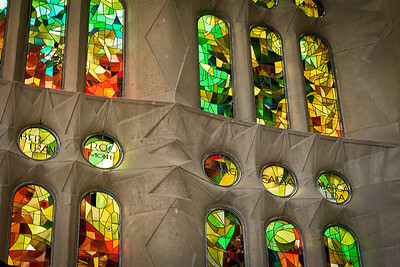 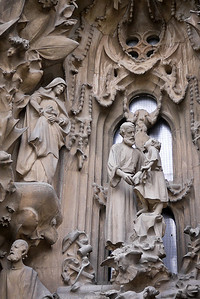 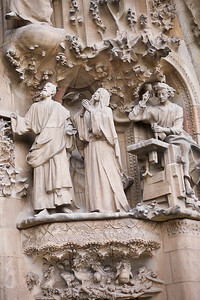 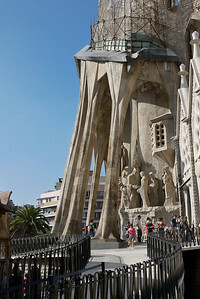 Nativity façade of La Sagrada Familia.